Bengaluru-based Connoiseur Electronics has branched out into high-end gaming systems. 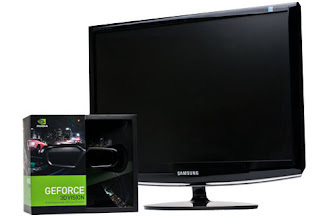 The highlights of this system are its GeForce GTX580 graphics card and 3D Vision kit. 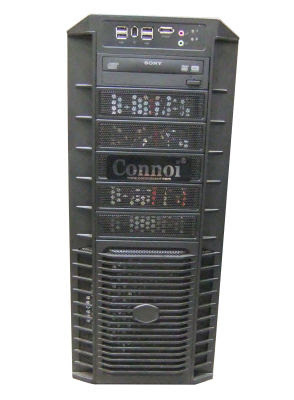 Connoi is the fi rst company to off er a system with this card in India. 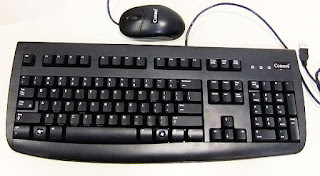 The CPC-580 uses an imposing Cooler Master HAF 932 cabinet, and comes with a Samsung 2233RZ 3D-capable monitor and vanilla Logitech keyboard and mouse set. These brands’ logos are covered by crude black Connoi stickers. Inside, an Intel Core i7-920 sits on an X58-based Asus P6T Deluxe motherboard with 4 GB of Corsair 1333 MHz RAM. The motherboard is solid, but the CPU is rather aged and the RAM is just pedestrian. The system is impressively quiet, thanks to the HAF cabinet and Nvidia’s new graphics card cooler design. Connoi has done a great job with routing wires, and everything feels sturdy. However speakers aren’t included, which is strange for a high-end gaming PC. Note that the 3D monitor’s resolution is only 1680 x 1050; below the HD norm of most 22-inch LCDs. The tradeoff is due to the 3D vision support. Our review unit came preloaded with Windows 7 Home Premium and no software; not even an antivirus package. Performance scores were impressive, with PCMark Vantage giving us 7458 points overall.